The broad area of responsibility of this Department is unique among Germany’s states. 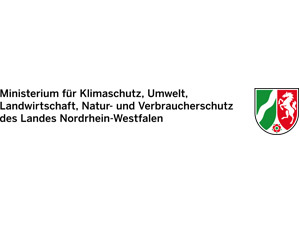 The Ministry for Climate Protection, Environment, Agriculture, Conservation and Consumer Protection of the State of North Rhine-Westphalia (MKULNV) is part of the government of the German state of North Rhine-Westphalia. The Federal Republic of Germany is a union of sixteen federated states. Under the country’s constitution, the “Basic Law”, the states enjoy a high degree of autonomy. They enact their own laws and also play a large role in Federal lawmaking. MKUNLV plans and prepares bills that are then submitted to the State Legislature for parliamentary deliberation and enactment. The Ministry applies Federal, State and European Union laws, oversees their implementation and controls the entire process through a variety of executive agencies. The Department is becoming ever more active in supporting activities and financial assisting private individuals, community institutions and business enterprises. Today, MKULNV provides compliance assistance and initiates and supports volunteer activities in North Rhine-Westphalia, for example in the areas of eco-efficiency, conservation and consumer advice.